Influenced by Hindustani classical music, psych-folk and samba, for his second solo album the experimental Norwegian guitarist Kim Myhr pushes his 12- and six-string instruments through a variety of studio effects to locate a spectral sonic landscape, a trance state between the acoustic and the elctronic, where an alchemical late-hours lyricism is born. In March 2014, guitarist Kim Myhr released the critically acclaimed solo record «All Your Limbs Singing» (SOFA); an orchestral exploration of the 12-string guitar sounding like something in between American folk strumming and 60s avant-garde soundmass orchestral music. On the new solo album «Bloom» he takes his music in a new and more electronic direction. In recent years, Kim Myhr has been one of the leading voices on the experimental scene in Norway as both a composer and a guitarist. «In The End His Voice Will Be The Sound Of Paper» – the collaborative album Kim Myhr released together with Trondheim Jazz Orchestra and Jenny Hval earlier this year, was described by the Quietus as «an arresting piece of work», and by Slug Magazine as «a grotesquely beautiful paradox of sound, pleasing to the last». Myhr is an active composer, and writes for chamber ensembles, electroacoustic settings and various theatrical projects. He is also a member of the MURAL (Ingar Zach, Jim Denley) and Circadia (David Stackenäs, Joe Williamson, Tony Buck). Kim has done collaborations with Sidsel Endresen, Sebastian Roux, Lasse Marhaug to mention just a few. 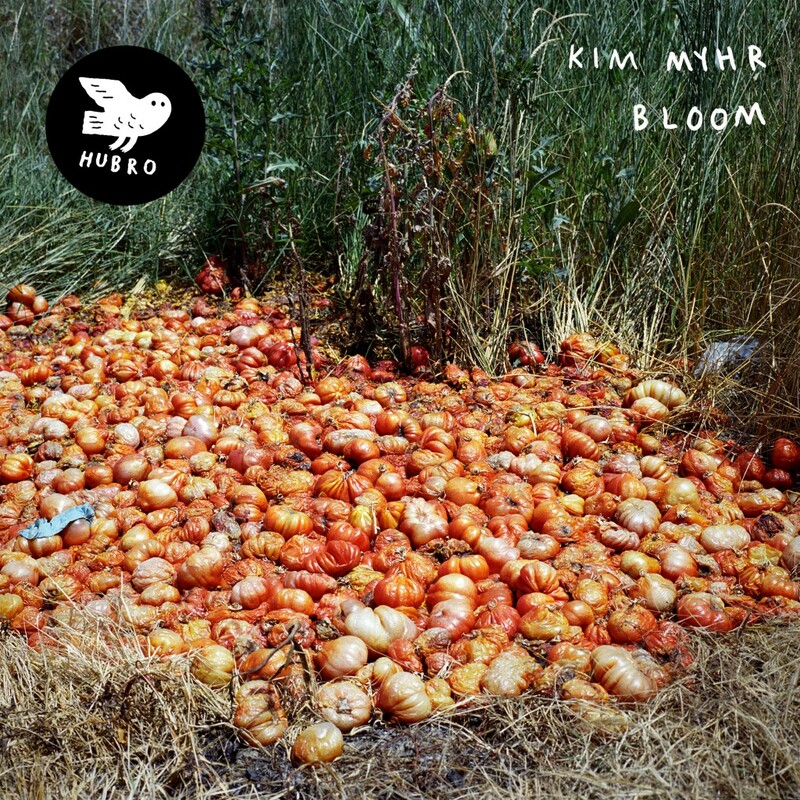 «Bloom» is an adventurous and generous sounding new landmark recording from Kim Myhr. The album is being released as a CD, DL and a LP and printed inner sleeve. It feels fitting that Myhr has defined Bloom as his “electronic” album. Bloom shows Myhr using his large-space sound more as a compositional element, with parts of the same process of Limbs applied to electric guitar, as well as electroacoustic processing thrown into the mix as well. Oh yeah, and a zither. Either way, nothing on Bloom represents what we’ve come to understand more conventionally, even in experimental or non-conventional terms, as “electronic” music. To be sure, every genre term is loaded; telling someone you’re a fan of electronic music can put you anywhere in the spectrum from Skrillex to Mark Fell. But Myhr is attempting to expand the idea of how things fit together while also showing how an individual forms a specific sonic idea, before letting that idea fall into a larger compositional conversation. This aspect is not necessarily new for Myhr. He’s used his large, chamber sound element in many of his collaborations, notably with Jenny Hval and the Trondheim Jazz Orchestra, as well as in his many live collaborative settings. Myhr the composer tends to return to a sound, one that he initially formed over a long period and documented quickly (as was the case with Limbs), bringing this sound into the pool when he takes on the studio, composition-from-sketch process. On Bloom, Myhr opens up to new processes and, as such, seems committed to finding how the sounds on Limbs fit into a world with other sounds and how that specific sound fits into a conversation with sounds from the electronic processing canon. If anything, it can be constructed as an individual’s romantic step into the larger world, facing the things outside themselves, discovering how their individualities blend in and stick out from a mass whose parts are both known and unknown. Den elektriske gitaren hilser oss forsiktig inn i «Bloom». Kim Myhr introduserer seg selv med brokker av lyd, akkorder som kuttes og bys fram som forord til en større fortelling. Det har gått to år siden forrige soloalbum, «All Your Limbs Singing», der gitaristen utforsket 12-strengeren med stort hell. På «Bloom» går Myhr i elektronisk retning, men lyden av gitarer er fortsatt hovedsak. Albumet faller inn i den etter hvert så omfangsrike tradisjonen av strengedreven musikk som vrir seg unna enkel kategorisering. Kim Myhr har brukt mye tid på selve innspillingsprosessen og bearbeidet lydkilder for å skape en fyldig vev, en konstruksjon som stiller seg i ytterkant av gitarfeltet, uten å gjøre seg fremmed. Han lykkes både med å skape en helhet av de mange mønstrene og sette avtrykk med tydelig signatur. Noen ganger høres Myhr ut som et lite rockeband som ikke helt vil vedkjenne seg rocken. Andre ganger virvler han opp psykedelia med fingertuppene. Jeg liker det kreative elementet som smyger seg gjennom det aller meste av stoffet. Det gir seg til kjenne midt mellom det eksperimentelle og lekent tradisjonelle. Åpningssporet «Sort sol» er typisk for den styggvakre formen gitaristen trives i. Den elektroakustiske massiviteten som etter hvert velter fram, er god å være i. Når Myhr lar de raske anslagene styre gitararbeidet og tillater seg å dvele ved gjentakelsen, står han i sitt mest personlige. Det er ikke gleden som driver musikken. Det er snarere alvoret som hever innholdet. På «O Horizon» kombineres insisterende bassanslag med seig gitarmaterie. «Swales fell» åpner med sildrende akustisk gitar og det som må være zither. Harmoniene henger uanstrengt, og musikken oppleves nærmest som transparent, før en dyp drone tetter underlaget og gir musikken nye livsvilkår. Det er en liten bragd å styre unna alle klisjéene som har hopet seg opp gjennom gitarhistorien. På det lengste sporet «Milk run sky» spennes den akustiske gitaren ut som sikkerhetsnett for elektriske krumspring, som om Crosby, Stills & Nash hadde sluttet å synge og gjennomført noe radikalt nytt. Det er krevende å være alene gjennom et helt album. Den dynamikken og utvekslingen av idéer som kan prege gode band, blir gjerne borte. Kim Myhr er neppe ute etter å låte som noe annet enn seg selv. Det lykkes han ualminnelig godt med. Den visjonen som ligger bak «Bloom», handler om noe mer enn det eksperimentelle. Kim Myhr formidler en grunnstemning som bærer på det menneskelige. Den kombinasjonen sikrer høy kvalitet. Kim Myhr, norwegischer Gitarrist und unter anderem bereits tätig mit dem Trondheim Jazz Orchester, veröffentlich mit Bloom sein zweites Soloalbum. Auf diesem spielt er elektrische wie akustische Gitarre, 12-Saitige Gitarre (elektrische und akustische), Zither und erarbeitete die elektronischen Klänge. Im Gegensatz zu seiner opulenten Arbeit mit dem Trondheim Jazz Orchester präsentieren die fünf Stücke die stillen Seiten des Künstlers. So hat er mit vielen Overdubs gearbeitet, verarbeitete gesampelte Gitarren und Bassklänge mit anderen elektronischen Klängen zu einem sehr atmosphärischen Sound, der immer allgegenwärtig ist. Manchmal steigert sich diese Klangkulisse auch zu leicht beschwingten Rhythmen, jedoch überwiegen die ruhigen, atmosphärischen mitunter mit 0 BPM auskommenden Passagen. Über dieser Klangkulisse breitet Kim Myhr seine akustischen Instrumente aus. Perlende Gitarrenklänge, angehauchte Zitherklänge, ein paar honigsüße Saitensounds hier, ein paar zerfasert wirkende elektrische Gitarrenklänge dort. Mal nähert sich die Musik ein wenig dem US-Folk an. Ich mag in diesem Kontext nicht von Country sprechen. Es ist dann auch mehr der Klang der Gitarren, als die Melodien oder gar der Rhythmus. Das Album wurde mit einer glasklaren Jazzproduktion versehen und aufgenommen, was dem ohnehin bereits sehr atmosphärischen Klängen noch mehr Weite und Raum gibt. Man kann tatsächlich jeden Ton hören, egal wie weit er im Vorder- oder eben Hintergrund steht. Das zeichnet diese Produktion auch aus: hier gibt es keinen Ton und kein Geräusch zu viel. Hier ist alles da, wo es hingehört, aber nicht unbedingt da, wo man es erwartet. Das bringt das Album wiederum ein Stückchen in Richtung Postrock und verführt mich dazu, dies hier elektro-akustischen Post-Ambient zu nennen. Bloom ist eine fast schon spirituelle Angelegenheit und verschafft dem Hörer transparente Klänge zum Entspannen und Entdecken. Auch beim fünften Hören entdeckt man noch Neue Dinge. Ein wunderschönes Album für die lauen Herbstabende. Scheduled for release via Hubro Music on October 7th, 2k16 is “Bloom”, the new album by the experimental Norwegian composer Kim Myhr who is renowned for his solo works as well as various contributions to numerous projects, mostly in terms of playing the 12-string guitar. And it’s defo this instrument which is in focus here although not in its regular form one would expect from Mr. Myhr’s prior work in the field. Partly dabbling with a Post-PostRock influenced variation of Pop Ambient – think: Klimek – we see the sound of th 12-string guitar go through a wide variety of electronic alterations and reprocessing, resulting in cut-up distortions or cascading, glittering eruptions of tender sonic stardust whilst other sequences are of calm, reverberating beauty or resemble a certain rock’ish drive based on ongoing repetitions of miniature phrases. In “O Horizon” we see a buzzing take on Ambient Electronica meet yearning echoes of quite a psychedelic nature one would find in more experimental and / krautsy bands of the 70s whilst “Swales Fell” is losing itself in depicting most innocent romanticisms, “Peel Me” fuses a wobbling, post-apocalyptic and multidimensional echo of Desert Blues with abstract, yet danceable electronic rhythm signatures and the concluding “Milk Run Sky” is stretching spaced out Instrumental Folk over a period of nearly 11 minutes for a final trip into the expanding mind of the longtime staple in the Norwegian scene known under the name of Kim Myhr. Nice. Those who have heard Kim Myhr’s 2014 album All Your Limbs Singing (or his collaboration with Jenny Hval and the Trondheim Jazz Orchestra) will find Bloom a rather different proposition. In place of 12-string explorations which sit between American folk and 60s avant-garde, electric guitar and electronics fuse to create something quite intriguing. There are lengthy passages which sound like formless noodling, a single chord strummed and subject to tonal variations, running through permutations of effects on a pedal board to achieve different equalisation, gain, overdrive. But while the five tracks on Bloom are clearly of an experimental and seemingly improvisational bent, there are definite structures and a sense of composition, with washes of electronic sound and layers building over one another. ‘O Horizon’ turns the focus toward rhythm, while also building ambience through long, hovering guitar sustain. The one thing Myhr does not do frequently is play the guitar conventionally: he does, however, demonstrate just how massively versatile the guitar is as an instrument. Where he does strum, as he does with a clean tone on ‘Swales Fell’, uses a zither to achieves a sound somewhere between a harp and a sitar, the notes tumbling and fluttering in gentle cascades. The scratchy tonalities and rich textures which emerge through the shimmering summery shades of ‘Milk Run Sky’ create a balance and contrast. It’s on this final track that Myhr plays most conventionally, but still filtered through a psychedelic, kaleidoscopic prism. Bloom is a rare beast, in that it’s an album which is very much about technique, and about the effects and sounds that exploratory techniques can create. But at no point does Myhr become excessively self-focused or lose the listener. Released on the Hubro label – I was going in blind to this album, having been mailed it. I had no idea what to expect. Having only heard 2014’s critically acclaimed “All Your Limbs Sing” (Sofa) briefly – I was expecting twelve string loveliness. The opening track (embedded below) “Sort sol” is an abrasive electric guitar; I was intrigued. In recent years Myhr has been one of the leading voices in the Norwegian experimental scene as both a composer and a guitarist. Taking his music in a new electronic direction – on the surface “Bloom” is quite different from its predecessor: there’s lots of overdubs, electric guitars, electronics (although there are some acoustic guitars too). I have heard the album being described as a ‘generous’ album. Generosity is maybe a keyword; both in the album’s sound, the composition process, as well as in the sources of inspiration it drew from. Having been influenced a lot by Ram Narayan & Milton Nascimento – I can get a psych-folk influence on the electric guitars – almost Trees Community but without the Gospel. And, then, in the lurch of an overdrive pedal – we are listening to Krautrock-Ambient. An overwhelming album with a staggering number of influences and new directions. Bloom is a rare beast in that the music is mainly not about the playing technique but the processes that alter the sound – it could be seen, romantically, as a young man stepping out in to the wide world for the first time, ready to make an impression. “Bloom” is an adventurous and generous sounding new landmark recording from Kim Myhr. The album is being released as a CD, DL and a LP. Eine warme Platte hat der Norweger Kim Myhr mit zweitem Soloalbum machen wollen. Titel und Cover deuten schon mal sehr in diese Richtung: Die Vorderseite von »Bloom« ziert ein Farbfoto mit einem Haufen kräftig roter Tomaten, die am Rand einer Wiese in der Sonne vor sich hin gammeln. Auch mit der Musik wird der Gitarrist seinem Ansatz mehr als gerecht. Seine 12-saitige Gitarre steht dabei im Zentrum dieser fünf Stücke zwischen Drone, Folk und Psychedelik, hinzu kommen elektrisch verzerrte Gitarrentöne und eine Handvoll elektronischer Instrumente. »Bloom« empfiehlt sich durchgehend mit rauer Freundlichkeit, angeschrabbelter Schönheit und großzügigem Auslauf für die Klänge. Man hat während dieser knapp vierzig Minuten jedoch nie den Eindruck, Kim Myhr lasse sich einfach von den Instrumenten treiben. Er horcht vielmehr sehr genau den Stimmungen nach, weiß, wann es Zeit wird, die Richtung zu wechseln, und gestattet sich und uns immer gerade so viel Harmonien und Melodien, wie ihm nötig scheinen, um dem Folk-Anspruch noch halbwegs gerecht zu werden. Unerhörtes wird einem dabei nicht begegnen, doch eine Menge Erfreuliches. Ohne Übertreibung vielleicht eine der schönsten Gitarrenplatten des Jahres. “Bloom” is redolent with the sense of joyful experimentation, but is all the more impressive for its restraint. Tonally warm and dynamically soft, it lulls you into an unusual yet sincere embrace within minutes. But the embrace rarely endures for long, as a restless energy pervades the set. Opener “Sort sol” moves through six distinct passages mostly under two minutes in length. We hear isolated bubbles of processed guitar notes, synth-like drones that reach out but fall away, warming acoustic chords, overdriven freneticism, fading pulses and – finally – jazz-inflected chords of disquiet. Atmosphere and tempo in constant flux – that wonderful word denoting both change and fluidity. Crescendos promised but never delivered. “Sort sol” functions almost as an orchestral overture. Exact reprisals never materialise, but its textures and atmospheres are certainly returned to for greater exploration. Much of the album, which totals just shy of 40 minutes, adheres to its oxymoronic sense of smooth dislocation. Myhr comes across as a DJ of the avant-garde, falling into a groove yet already lining up the next transition. And while grooves particularly are absent, rhythm more generally is a significant part of all tracks bar “Swales fell”, whose spacious, glissando-like 12-string guitar chords render us as still as the waters they evoke. The rhythms are deployed with subtlety and variety. They are the ripples of the ambient, textural “O Horizon”; they are sprinkled in percussive pulses and jagged tremolo chords over “Peel me”; they are in the single chord strummed relentlessly for over half of the 10-minute closer “Milk run sky”, before it disintegrates into a throbbing layer. But Myhr saves one final surprise for the coda: he repeats a section. The chord returns for the final minutes, more distant than before. Appropriately, it fades from earshot. Myhr likely isn’t done yet; he’s just set up a segue for his next release. Myhr is going through a purple patch. Already this summer I’ve reviewed both Advances and Delays from his group Circadia, and an excellent collaboration with Jenny Hval and Trondheim Jazz Orchestra, In The End His Voice Will Be The Sound Of Paper. His last solo effort, 2014’s All Your Limbs Singing (SOFA), was a collection of road-honed 12-string guitar pieces, recorded in two days with minimal edits. Taking more time over Bloom, Myhr says: “I recorded sketches for two weeks, had a break, then … worked for six consecutive weeks … a very intense and focused composition process.” From initial close-recorded contact sounds, Myhr spins an electric, initially abstract “Sort Sol” into a sudden dizzying whirl of glitch motes, a sound-cloud grounded by cross-strummed acoustic guitar, every finger contact amplified. Aggressive spin-off strumming builds motoric tension ahead of a shimmery, tamped-down conclusion. “O Horizon” ups the rotor impetus, and stirs metallic picking into the mix ahead of muffled beats and live sampling manipulations. These opening cuts are the album’s most heavily arranged. From there on, for all the studied process, Myhr actually keeps his overdub orchestrations nicely uncluttered. “Swales Fell” is a clear soundfield of patiently unfurled, but richly reverb’d washes of meditative zither. It’s a developmentally static piece, until Myhr sets up a deep, vibrant throbbing, which is presumably electronic, but could be steady circular breathing on a baritone horn. “Peel Me” changes tack, with multi-layered electric guitar clang-and-shimmer over alarm-bell strummed cords, and an introduced heartbeat bass pulse. It promises incremental complexity, only to reprise the denuded signal response experimentation that began “Sort Sol”. Direct strumming drives the first five minutes of “Milk Run Sky”, the album’s 10:47 long closing track, then slowly fades behind closer-recorded verité touches: bird-chirp finger-lifts, looped fx glimmer; an auricular sunset. De quelques accords de guitare à douze cordes, de petites frappes sur la caisse de résonance et d’harmoniques pincées, Kim Myhr tire, grâce à l’électronique, d’extravagants orages qui peuvent se transformer en transports shamaniques, dérives cosmiques et ruminations bruitistes, tout un capharnaüm extra-musical parfois effacé au profit de nappes cristallines semblables à d’évanescents mandalas sans cesse recommencés. Le temps est autre ici, et l’écoute doit l’être aussi, il faut savoir guetter, attendre, accepter les irritations et les surprises, pour retrouver, à certains instants, comme des étonnements d’enfance. Componist-gitarist Kim Myhr maakt deel uit van de Noorse, experimentele scene. Hij is een erg actieve muzikant die regelmatig werk schrijft voor kamerensembles, elektroakoestische bezettingen en theater. Op ‘Bloom’ stuurt hij zijn muziek in een nieuwe, elektronische richting. ‘Bloom’ werd opgenomen in twee fasen: twee weken schetsjes opnemen, daarna zes weken van plinke plonke doen. Myhr wilde het geluid van de twelvestring een heel andere richting uitsturen. Op het korte album (vijf composities in een halfuurtje tijd) horen we hem vooral met overdubs, elektronica en akoestische) gitaren in de weer. Hij putte daarbij inspiratie uit albums van Ram Narayan, Milton Nascimento en andere psych-folkalbums uit die periode. Daar waar ‘All Your Limbs Singing’ een wat kort tussendoortje was, bevat ‘Bloom’ composities, die al jaar en dag meegaan. De in Oslo opgenomen plaat wordt vooral door elektronica gedefinieerd, al is het geen elektronica-album in de strikte zin van het woord. Wel tracht Myhr een geluidsconstructie, waarvoor hij de mogelijkheden al op eerdere albums onderzocht, op te bouwen. En ook al klinken de composities op ‘Bloom’ best experimenteel en komen zij voort uit improv, toch weet Myhr er iets boeiends van te maken. Dat heeft te maken met de wat onconventionele benadering van de gitaar, die slechts één van de vele geluidslagen is. Door een akkoord lange tijd aan te houden, bouwt hij een droneachtige textuur op die de basis legt voor zijn composities. Zo is de bijna acht minuten durende opener Sort Sol een opeenvolging van gitaarbewegingen. Eens hij op dreef is, kan het echt alle richtingen uit. Af en toe neemt het grillige, weerbarstige gitaarwerk de overhand, dan weer de subtiel sudderende elektronica (O Horizon). Naarmate het album vordert komt Myhr vaker los van de hoge, zelf opgelegde productionele eisen (het suggestieve Peel Me). Hoogtepunt is het monolitische, dik elf minuten lange improvbommetje Milk Run Sky. ‘Bloom’ is in ieder geval de moeite waard om te beluisteren. Een speelse en exploratieve, vijfdelige suite vol experimentele geluidsmanipulaties en modulaties. Benieuwd welke richtingen Myhr nog allemaal gaat inslaan. om ingen andre måtar å gjere det på er tenkjelege. Men nokre av haustens mest pirrande utgivingar opnar opp nye, lydlege landskap. musikarar leitar etter nye tonar, nye teksturar, noko som kan overraske både dei sjølve og andre. Kim Myhrs Bloom (Hubro), som kom tidlegare i haust, er ei slik plate. Eg gjekk til utgivinga med friske minne om tolvstrengsmeditasjonane på All Your Limbs Singing (2014) og vart glad for atter å finne gitaristen i utforskande modus: Bloom inviterer oss inn i musikarens laboratorium, studioet, der skiljet mellom det å spele eit instrument, og det å forme nye lydlege uttrykk med utgangspunkt i dette instrumentet, er glidande. Musikken på Bloom er altså «urein» i ordets beste forstand, og det er til å forstå at Myhr tenkjer på dette som sitt «elektroniske» album. Lyden av ein gitar vert til noko uavslutta, ein skulptur det går an å forme om, ei røyst annanstads frå. Noe skurrer ved Kim Myhrs første soloskive på Hubro, landets fremste hjem for eksperimentell musikk. Utover det rent soniske – der vindskeive gitarer er sntrum – er det også dissonans i forholdet mellom albumtittel og -omslag. Blomstring og forråtnelse, hånd i hånd. Det er denne dobbeltheten som gjør “Bloom” til så fengslende lytting. Lydbildet er organisk og sensommerlig, tidvis nesten idyllisk, men lytteren trues konstant med å bli røsket ut av velbehaget. Sånn kan man også lage folkemusikk. Though Kim Myhr has established himself as a leading figure on the Norwegian experimental scene as a composer and guitarist, Bloom is hardly what one would call a typical guitar album, even if the majority of the sounds featured were guitar-generated. That’s because Myhr explores the instrument’s textural possibilities rather than using it as a vehicle for soloing. He initiated the project by recording sketches for two weeks and then, after a break, dedicating six more weeks to it until he was satisfied; evidence of that methodical approach is heard in the careful deliberation with which the material develops on the thirty-eight-minute set. And as his acoustic twelve-string guitar music can be physically demanding to play, Myhr also decided to adjust his working methods, which accounts in part for the presence of electronic and acoustic sounds. To that end, his customary arsenal of acoustic and electric guitars has been supplemented by zither and electronics on the five tracks. Myhr’s decision to exploit the guitar’s textural range is evident from the beginning when “Sort Sol” blossoms from a slow electric guitar figure into an electroacoustic blizzard. That being said, the track nonetheless straddles multiple realms in featuring a plenitude of guitar-generated effects whilst also pursuing a resolutely experimental examination of abstract sound possibilities. Arriving as it does after two intensively explorative workouts, “Swales Fell” immediately entrances the ear with placid pools of zither strums, the effect as soothing as it is enchanting, while the acoustic and electronic realms coincide during the eleven-minute closer, “Milk Run Sky,” when Myhr scatters scrapes and other noise treatments across a base of acoustic strumming. As stated, while conventional guitar soloing is eschewed on Bloom, a considerable amount of energy is dedicated to exploring the instrument’s sound potential, such that during some episodes its raw and scabrous sides are highlighted whereas tremolo effects and atonal treatments are explored in others. One visualizes Myhr applying any number of objects and manipulations to the guitar as he diligently coaxes from it any number of alien sounds for this experimental set. Als Komponist und Gitarrist gilt der Norweger KIM MYHR als einer der absolut führenden Musiker in der experimentellen Musik-Szene Norwegens, der bereits ausgiebige Tourneen durch ganz Europa, Asien, Australien, Nord- und Südamerika absolvierte und regelmäßig für Kammer-Ensemble und Theaterprojekte die Stücke schreibt. Auf seinem ersten Solo-Album „All Your Limbs Singing“, genauso wie für seine aktuelle CD „Bloom“, steht das musikalische Experimentieren mit Gitarren-Sounds, Loops, Sound-Collagen sowie einer Zither und jeder Menge Electronics im Mittelpunkt. Oftmals erscheinen dabei Myhrs Klangwelten sehr psychedelisch und ruhig, nicht wirklich jazzig, dafür aber recht schräg und leidenschaftlich verspielt sowie voller abrupter Rhythmus-Wechsel. Großartige Stereo-Effekte mit klaren Links-Rechts-Kanal-Trennungen sind dabei eine besondere Güteklasse auf „Bloom“, die schon das Eröffnungsstück „Sort Sol“ ausmachen und sich sofort auf „O Horizon“ fortsetzen. Das folgende „Swales Fell“ ist dagegen leider der echte Rohrkrepierer auf dem Album, der sich über sieben Minuten lang in unendlich wiederholenden Zitherklängen erschöpft, was man zwar als Minimalismus verkaufen, aber als total nervenden Langweiler abschreiben sollte. Eine echte Enttäuschung auf diesem sonst sehr gelungenen Album. Besonders beeindruckend ist das letzte, gut zehn Minuten lange Stück „Milk Run Sky“, das mit einem akustischen Gitarren-Solo beginnt, welches große Ähnlichkeit zu „Pigs On The Wings“ von PINK FLOYDs „Animals“-Album aufweist, aber deutlich länger ist und sich nach und nach im Tempo steigert bis es nach zwei Minuten sogar um mehrere akustische Gitarren erweitert wird, damit zum Ende hin verspielt-psychedelische Sound-Collagen die Führung übernehmen können. Ein Stück, wie es auch dem Kopf SYD BARRETTs entsprungen sein könnte. FAZIT: Wie so oft ist das Label Hubro die erste Adresse für experimentelle nordische Musik, die fast immer eine gewisse Faszination versprüht. Diesmal dürfen wir den in erste Linie Gitarristen, aber in zweiter Linie Multiinstrumentalisten und Elektronik-Friemler KIM MYHR aus Norwegen kennenlernen, der auf seinem zweiten, insgesamt recht ruhig daherkommendem Album uns einen psychedelischen Klang-Kosmos zwischen floydigem Wohlklang und „zither“iger Langeweile präsentiert, bei dem aber die positiv-spannenden Momente deutlich überwiegen. Bloom could not only be about growth, since the album cover suggests a certain kind of overabundance: these sounds, even at their most succinct, are the product of cycles in and of excess. Their life is not one of rhythmic regularity, the picture-perfect stills of flowers, but a multitudinous virality that spontaneously spurts in a dozen directions at once. We tend to associate the speed of the virus with the speed of a machine, all roar and lightning, but it is perhaps closer to the speed of swamps in summer, entire worlds in movement that emit just a few, quiet little sounds at the edge of being perceptible. Großartig auch Kim Myhr, ein norwegischer Gitarrist/Komponist, bekannt für seine Kollaboration mit dem Trondheim Jazz Orchestra, der mit »Bloom« (Hubro Music/Broken Silence) sein zweites Soloalbum veröffentlicht. Überraschende Wendungen nimmt bereits der Opener »Sort Sol«: Aus einer kleinen Soundspielerei wächst klingelndes Gitarrenschrammen, unterminiert von einem elektronischen Pochen, aus dem sich Synthie-ähnliche Gitarrenschlieren schälen, ehe psychedelische Vibratos einen ruhigen Ausklang bescheren. Damit ist schon circa umschrieben, was die Eleganz seines Schaffens ausmacht. Insbesondere der Hall repetitiver Gitarrenloops wird in lang atmenden Passagen ausgelotet und hin und wieder sacht gestreutes elektronisches Wummern macht »Bloom« noch interessanter. Auch mit dem Klang der Zither fährt Myhr wohlklingende Ernte ein. Kein Kontra-, sondern ein Ergänzungspunkt zu den psychedelisch austarierten sechs- und zwölfsaitigen E-Gitarren und der akustischen zwölfsaitigen Klampfe.